Convenient, quirky, manoeuvrable and endlessly customisable - it's no wonder that teardrop trailers have made a resurgence in recent years and can now be spotted on roads and campsites across the UK and beyond. Whilst most car insurance policies will cover trailers and caravans when they're being towed, once you stop and uncouple you could be leaving your trailer vulnerable to theft and damage. Trailer or caravan insurance isn't a legal requirement, but when the cost of replacing your caravan and its contents can run into thousands of pounds, Adrian Flux's teardrop trailer insurance could help protect your caravan and your bank balance. With their great ergonomic design and a little careful planning, micro caravans can sleep two people and hold a large amount of cargo, sometimes almost as much as a regular caravan. Often coming complete with kitchens, water outlets and batteries too, teardrop trailers can even end up carrying the same value of equipment as their bigger brothers. Its estimated that over 3,000 regular caravans are targeted for theft each year, and caravan crime is becoming an increasingly common problem. As well as stealing caravans, thieves also target the personal belongings stored in them, things which may not be covered by your standard home insurance, especially when the caravan is left unattended. Bad weather over recent years has also led to an increase in caravans damaged by storms. If you are on holiday or attending an event in your caravan, storms could damage your property and leave you without a place to sleep-? but teardrop trailer insurance can provide emergency accommodation expenses to find you somewhere warm and dry to spend the night. Teardrop trailer or micro caravan insurance is also available as 'new for old cover, meaning you can receive the cost of buying a new caravan, the same as your old one, if it is lost or stolen. For older caravans, insurance may be restricted to market value policies. Despite their recent popularity, teardrop trailers have actually been around for a long time - their practicality and good looks making them a timeless addition to campsites the world over. 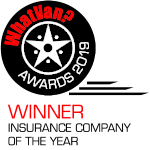 Adrian Flux is now able to offer vintage caravan insurance too, giving our best protection to caravans both old and new to keep classic caravans on the road for many years to come. 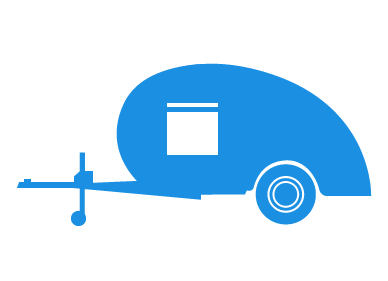 Adrian Flux is also happy to offer discounted teardrop trailer insurance for members of touring, camping and caravanning clubs, helping you to make the most of your club membership. You can also save money on your caravan insurance by taking out your car and caravan cover together through Adrian Flux. Whether your trailer is brand new or a bona fide classic, if you need teardrop trailer insurance or vintage caravan insurance Adrian Flux can help. As the UKs largest specialist insurance broker, and with over 40 years experience sourcing quotes for our customers, we are sure to be able to find you quality, affordable micro caravan insurance. For more information on all of our policies, and to get your free quote today, call 08000 83 88 33 now, request a callback or click the quote button on this page.